In this post, we will be taking you through the new BQ extruder step by step, briefly covering all the improvements in relation to the previous version and how they affect its operation. We will start with a general description of the extruder and then we will look at the set of components it is made up of: the hot-end, the double drive gear system and other parts. 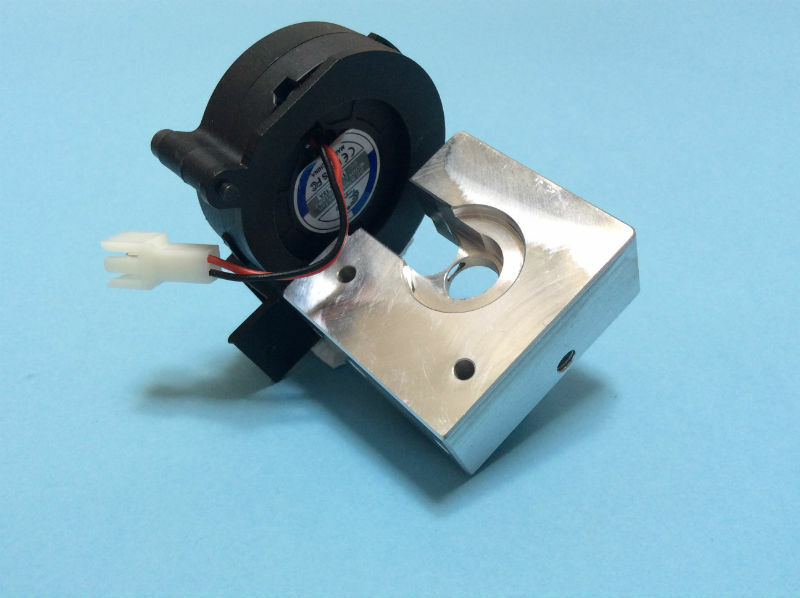 This is the introduction to a series of detailed posts on each of the components that form part of the extruder. 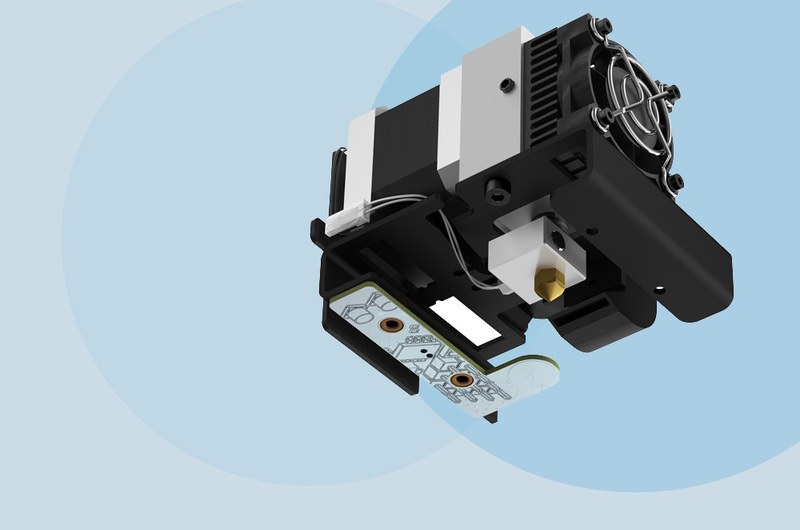 Out of the three types of extruder that exist on the market for plastic extrusion in 3D printing (traditional, 100% metal formed of various parts, and Unibody), a traditional extruder was selected. A traditional extruder consists of various parts, with PTFE tube (or similar) on the interior. It´s chosen largely for two reasons: modularity and improved temperature control. 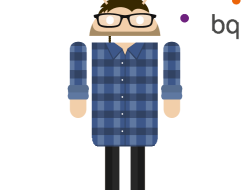 Modularity, means that the parts can be changed in the event of breakage, or adapted to requirements. Using different parts allows different materials to be used, so that improved temperature control can be achieved by using materials that heat up quickly, with high thermal inertia in the heat block, and thermal insulation on the upper part, to prevent heat from being transmitted to the PTFE tube. 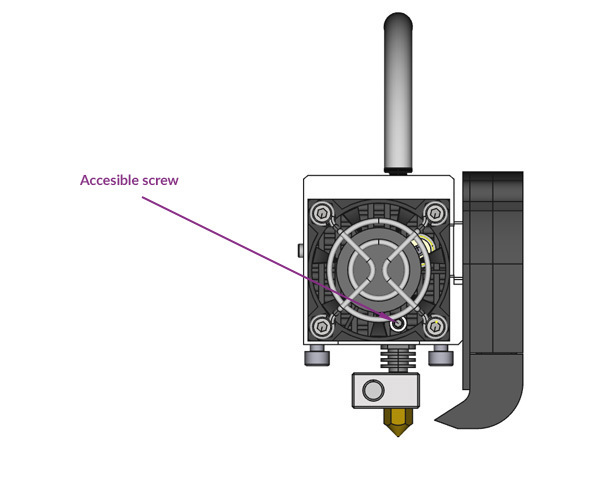 The main disadvantage of a traditional extruder is that the material can filter in between the joins of different parts and block the extruder (especially if working with PLA, which is more fluid than ABS). It results in less irregularities on the internal walls, so that it slides more easily. This optimises the movement and reduces the adhesion of the filament. The end of the extruder is the part that needs to reach high temperatures, as the melted material must pass through it before being expelled. 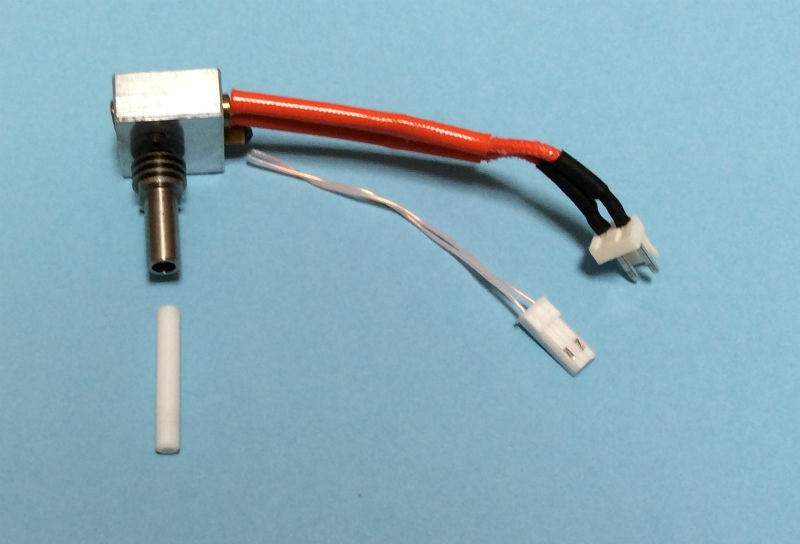 The material is heated in the metal casing, which is connected to the resistors. 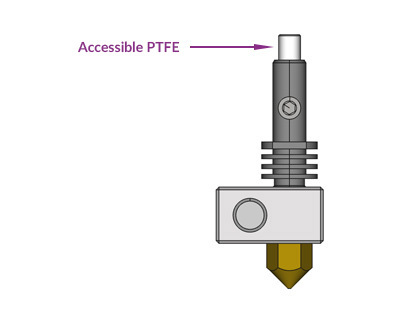 If the nozzle has a temperature coefficient that allows it to absorb a lot of heat, the temperature of the material can be maintained at a higher level, enabling improved heat transfer. This is exactly what happens when brass is used. A metal casing has been designed, which is located on the lower end of the PTFE tube. The casing is designed to increase dissipation in order to protect the PTFE tube. It also isolates this area from the heat by preventing the plastic from melting prematurely, which could cause a ball of plastic to form on the end of the nozzle, leading to blockage. 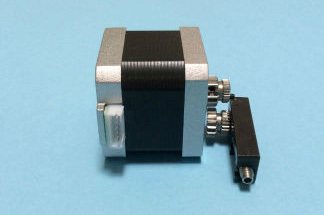 The casing has been designed as one body with the hot-end. This eliminates resistance created by air (which would gather in the join between the casing and the body of the hot-end) and directs the heat towards the exterior more efficiently. This improved dissipation allows for a decrease in the size of the fins. 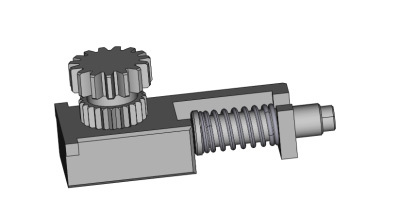 The double drive gear system increases the tractive force exerted on the filament. After carrying out a series of tests, which will be explained in the next post, the maximum tractive force is quantified without breaking the filaments. 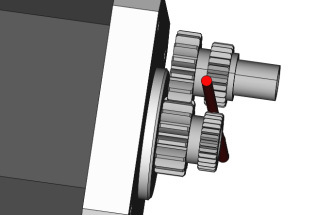 The tractive force of the double drive gear system, without the hot-end and with PLA is 3626 kg. In comparison with the HeatCore Unibody and the average 2400 kg that it supported, the new extruder achieves a greater tractive force. This is due to the improvements mentioned in this post. 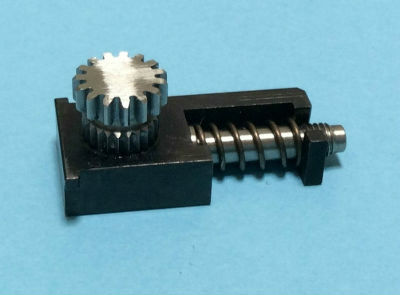 The double drive gear system includes a spring for adjusting the traction of the filament, which will depend on which type of plastic is used. The harder the plastic, the greater the traction must be (provided that the temperature is maintained). Printing with flexible filaments, such as FilaFlex. The filament can be changed without needing to remove the old one, which means that it can be changed during printing, without needing to pause the process. The plastic is pulled along by the teeth of the two gear wheels, which increases the tractive force. As the image shows, there are two wheels with different diameters. The larger ones lock into each other and the smaller ones pull the plastic filament through. 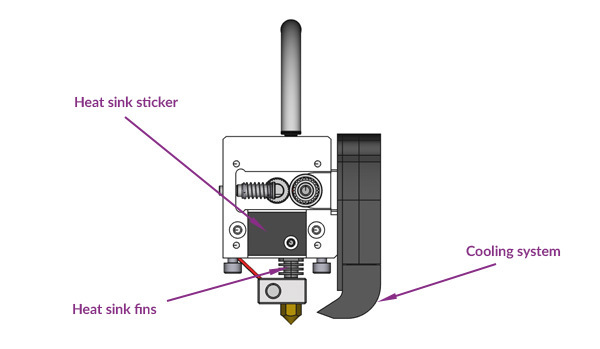 The sticker serves to facilitate the dissipation of heat from the extruder block, by ensuring maximum contact and thermal conductivity with the front heat sink. Improved dissipation minimises the formation of plastic lumps on the extruder inlet and preserves the PTFE tube. The fins have been retained on this extruder. However, with the addition of the metal casing that facilitates the heat dissipation, it was possible to hugely reduce the size of the fins. 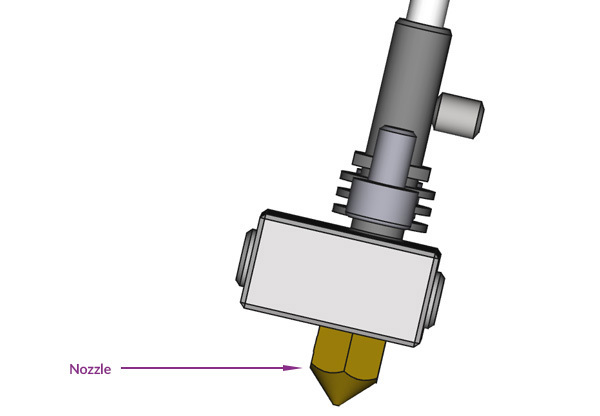 The blower nozzle that cools the plastic as it is deposited to achieve maximum print quality. 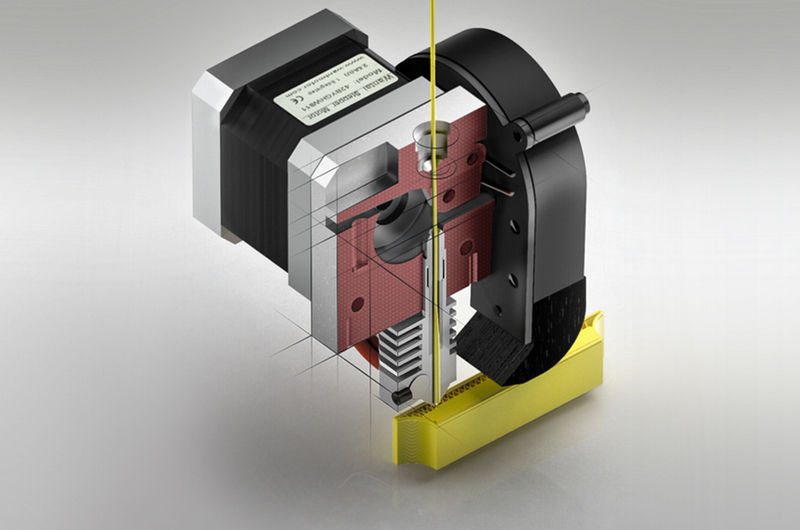 So now you´ve seen all the improvements that come with the new extruder. 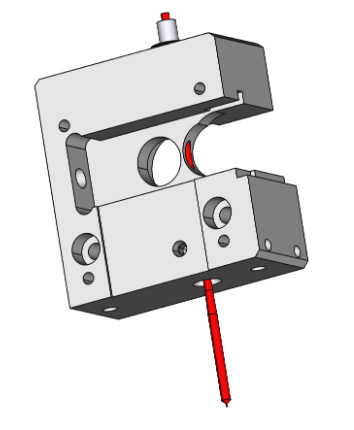 Stay tuned for the next posts which will include a detailed explanation and a comparison with the old extruder! Thanks a lot for this post. It’s very well written and explained. 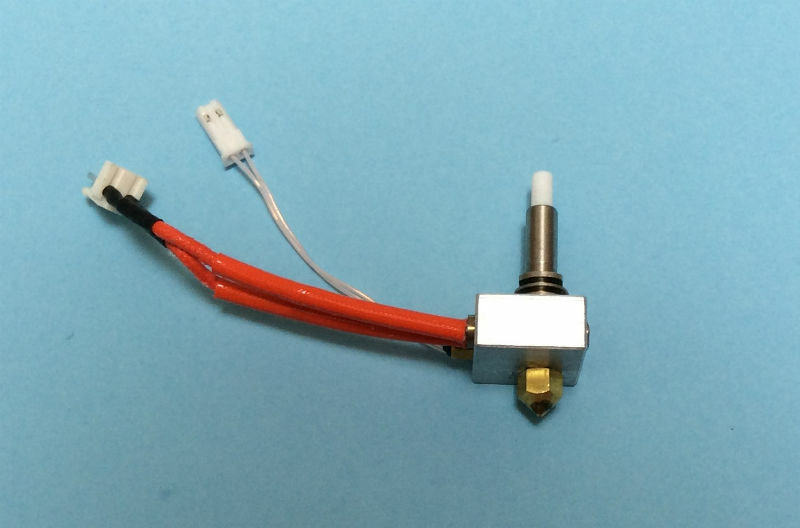 I just bought a Hephestos 2, and I would love to ear more about this new extruder, like a maintenance guide. Shame the tension on the idler can’t be adjusted without removing the extruder. Please, can you tell me what printer you have, Witbox 2 or a Hephestos 2? You shouldn’t remove the extruder to adjust the idler.